Unfortunately, there isn’t a toothpaste *out there* that can help or correct every dental issue. There are a lot of different toothpastes on sale at chemists and supermarkets from brands to ingredients, to stop your teeth feeling sensitive to helping to whiten and brighten your smile. The best toothpaste for you is the one that helps or prevents any dental issues you have. To begin you have to understand what it is your teeth need. Do you want to prevent cavities, help with bad breath or stop plaque and gum issues – there is a specific kind of toothpaste for your needs. There are toothpastes that are formulated to relieve tooth sensitivity and others to help with whitening, while some toothpastes feature a combination of benefits such as cavity prevention and tooth whitening. All you need to do is read the box to make sure you’re buying the right toothpaste for your needs. Antimicrobial toothpaste – these are common and often contain fluoride which is an antibacterial agent helping protect teeth from cavities, decay and harmful food and drink. Tartar Control Toothpaste – toothpastes that offer tartar-controlling benefits contain sodium pyrophosphate that helps keep tartar at bay. These toothpastes may also contain sodium hexametaphosphate which helps prevent tartar and stains from accumulating above the gumline. The dentists advise that if you already have tartar build up around your teeth these toothpastes are not powerful enough to remove them. 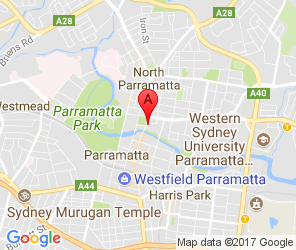 You need to visit your dentist in Parramatta for a proper teeth cleaning service. Whitening Toothpastes – contain a mild abrasive that helps remove and prevent stains from sticking to your teeth. Be careful with these kind of toothpastes as some can be very abrasive. We recommend professionally formulated whitening material that you can get from us rather than toothpastes. Sensitivity toothpastes – when you feel a sharp pain after biting into something hot or cold – that’s tooth sensitivity. Toothpastes which target sensitivity and pain block oral nerves, and, while they do offer good relief it can take up to three or four weeks to experience the full results. Children’s toothpastes – children do not need the same intensity of cleaning and their teeth can be harmed by abrasive agents and harsh fluorides. Kids can be fussy when it comes to texture, taste and consistency with many manufacturers making toothpastes that takes this into consideration and make child friendly toothpastes that children will enjoy using but is still a toothpaste that cleans effectively. If you need help choosing the right toothpaste, our dentist in Parramatta is happy to help. The friendly team take pride in providing patients with excellent care and communication, if you are unsure of the type of toothpaste best suited to your needs the team is happy to help answer any questions you have about selecting the right toothpaste for your needs. Call us on 800 400 55 and speak to one of our friendly team members today!